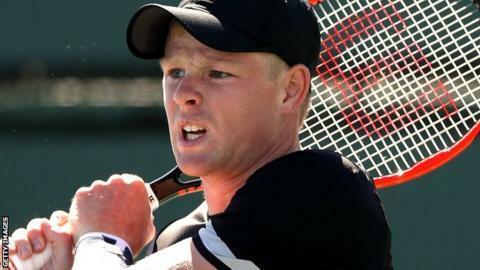 British number one Kyle Edmund won two matches in a day to reach his first ATP Tour final at the Grand Prix Hassan II in Marrakesh. The second seed beat Tunisia's Malek Jaziri 6-2 6-1 after heavy rain forced Friday's quarter-final to be moved to Saturday. Edmund, 23, then beat French fourth seed Richard Gasquet 6-3 6-4. The world number 26 will play Spain's Pablo Andujar or Portugal's Joao Sousa in Sunday's final. Edmund breezed past world number 91 Jaziri in 52 minutes, hitting four aces and winning 89% of points on his first serve. He beat Gasquet, who came through a two-hour quarter-final against compatriot Gilles Simon, in 73 minutes.